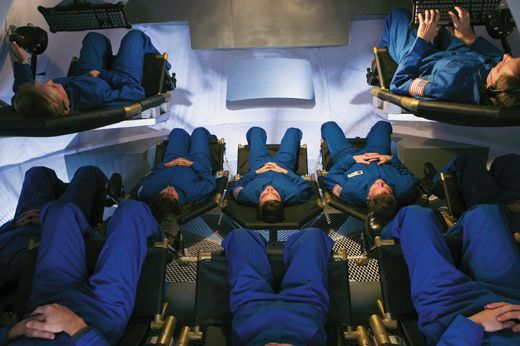 NASA’s new space capsule has a mind of its own. Not far from the front gate of the Johnson Space Center in Houston, obscured by a CVS drugstore and Wendy’s burger joint, stands a nondescript warehouse containing the centerpiece of the new U.S. space program. Until last year, the building stored old office furniture, cubicle partitions, and Christmas decorations that Lockheed Martin accumulated over a two-decade engineering services contract with Johnson. Today the junk is gone. 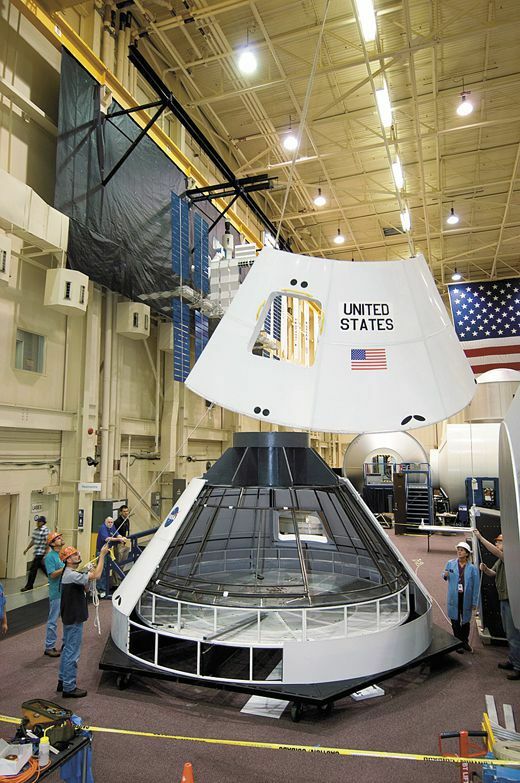 In its place is a life-size mockup of Orion, NASA’s next space capsule, now being designed. 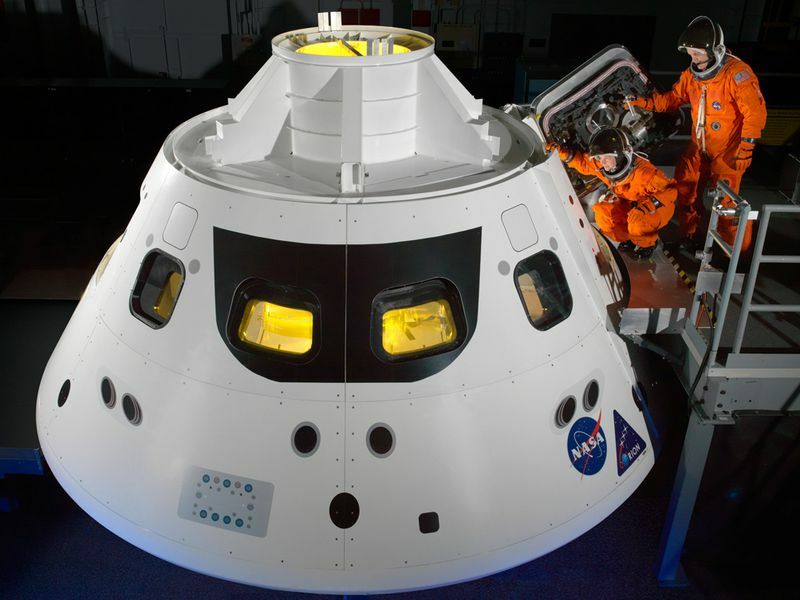 NASA calls the model a “low-fidelity demonstrator.” That means the mockup, made of two-by-fours covered with PVC laminate, doesn’t really look like a space capsule. 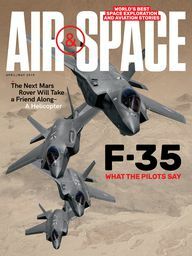 It contains no more than a few seats and some modern avionics, but it offers engineers at Lockheed, project partner Honeywell, and astronauts a platform to start integrating hardware and software for a new human-rated space vehicle, the first since the space shuttle was designed a generation ago. Though the mockup looks humble, the endeavor it represents is anything but. Named for one of the most recognizable stellar formations in the night sky, Orion will take a starring role in Constellation, NASA’s new space exploration program. Constellation aspires to not only put boots back on the moon by 2020 but later land humans on Mars and, eventually, elsewhere in the solar system. There is plenty to do. In August 2006, Lockheed Martin won the contract to design and build Orion—what NASA calls a “crew exploration vehicle”—at a cost of almost $8 billion. The first vehicle to carry humans is expected to reach the International Space Station in 2014 or 2015, depending on budget allocations to NASA. For engineers like Sommers, something else inside the warehouse stirs excitement: Three briefcase-size computer components sitting on a folding table in the next room. These are Honeywell’s Flight Control Modules, made for use on the Boeing 787 airliner. The three modules will serve as the avionics—the brain—of Orion. The computer components are at the heart of a question on a lot of curious minds: How will future astronauts fly this wingless, cone-shaped, blunt-bottom capsule? It turns out that future astronauts largely will let Orion fly itself. INCREASINGLY, IN AND OUT of space programs, computers do the busy work while humans supervise. Operations at the space station, where Orion will dock before heading for the moon and Mars, now feature a mix of human and computer piloting. The space shuttle still docks manually, while Russia’s Soyuz and Progress and unmanned European transfer vehicles will begin using an automated docking system this year. The issue of who is driving depends on the craft and the situation. For almost all aspects of Orion’s mission, the first option will be to rely on a computer. This will relieve astronauts from the tedium of Apollo-era checklists and flicking switches. By the time Orion flies, the state-of-the-art flight control systems will have accumulated millions of operational hours in commercial airliners. Before the control modules fly in Orion, they will need to be modified to survive the rigors of space. Engineers will redesign or replace pieces to ensure they can work in a vacuum, be small enough to fit in the spacecraft, and are hardened to withstand the radiation outside Earth’s atmosphere.